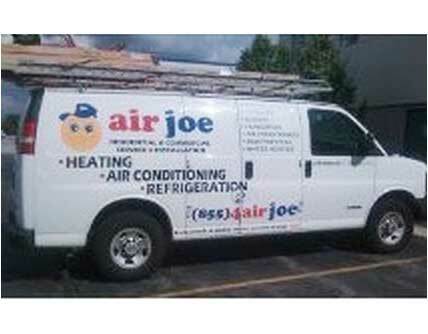 air joe Heating and Air Conditioning offers full service furnace, air conditioning, and commercial HVAC services throughout the Chicagoland area and surrounding suburbs. With over 25 years of heating and air conditioning experience, we are completely focused on quality workmanship and customer satisfaction. Whether you need a brand new heating and air conditioning system installed in your home or business, or need simple repairs for your furnace or air conditioner, our team of NATE (North American Technician Excellence) certified technicians gets the job done right — the first time. Our experienced staff makes sure every heating and air conditioning system installation or repair we do meets our high standards of quality. Our certified technicians are qualified to professionally service and repair all major brands and makes of heating and air conditioning equipment. Our lineup of most major brands we service and repair are: Carrier, Trane, York, Rheem, Lennox, Ruud, Goodman, Tempstar, Heil, Comfortmaker, Frigidaire, Luxaire, Payne, Dukane, Bryant, Janitrol, Amana, Kenmore, Reznor, Day & Night, Burnham, Dunkirk, Weil McClain, Peerless, Aprilaire, White Rodgers, Mitsubishi, LG, Panasonic, Sanyo, Arcoaire, ICP, Lochinvar, Buderas, Utica, Crown, Weatherking, Nordyne, Westinghouse, Armstrong and Maytag.